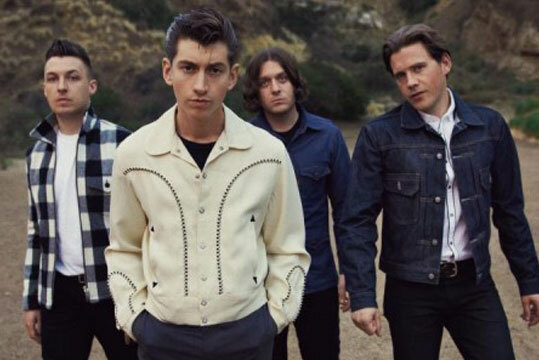 It was back in 2006 that our love for Arctic Monkeys began both musically and visually (we're pretty sure there was some of us out there who took a fancy to their Northern charm), but sadly they seem to have quietened down more recently and have become little more than pleasant nostalgia. This hasn't necessarily been because the Arctic Monkeys lessened in talent, it was really more that they had entered the music scene so vibrantly, with their songs that had that 'let's go out and dance' vibe from their first album Whatever I Say I am, That's What I'm Not, that when their later albums came out, much slower and less gripping, many of us quite simply lost interest. Yet away with the doom and gloom because they are back with a track that will suppress your weekly audio appetite with the new single Do I Wanna Know? They're still projecting that Sheffield twang and we are digging it for sure, not to mention the video to accompany this dashing new song is simply genius. Their new single can be purchased on iTunes but you'll have to wait until September for the arrival of their fifth album AM.